We return once again to a popular subject here at WLF’s Legal Pulse: agreements to end drug patent litigation and the Federal Trade Commission’s (FTC) effort to have certain types of such settlements declared “anticompetitive” or “unfair” under federal law. With an April 25 opinion, the U.S. Court of Appeals for the Eleventh Circuit has for the second time rejected FTC’s perspective on “reverse payment” drug patent settlements. The underlying situation in FTC v. Watson was essentially the same as in past settlements FTC has unsuccessfully challenged. Branded drug maker Solvay sued generic manufacturer Watson for patent infringement in the context of Watson’s move to market a generic version of Solvay’s Andro Gel drug. The parties settled the lawsuit in 2006, with Solvay agreeing to pay Watson $10 million a year for six years. Solvay also would allow Watson to market its generic Andro Gel in 2015, five years before Solvay’s patent ran out. That second aspect of the Solvay-Watson settlement was a key factor in the Eleventh Circuit’s opinion. A patent, Judge Edward Carnes wrote in Watson, grants the “patent holder . . . a ‘lawful right to exclude others’ from the market.” The Solvay-Watson agreement did not “exclude[ ] more competition than the patent has the potential to exclude.” In other words, Solvay had a right to exclude Watson from the market until 2020, and did not abuse that right by demanding Watson withhold its generic Andro Gel until 2021 or later. FTC’s only response to this principle of law was to argue that Watson would have prevailed in its patent suit against Solvay, and thus the settlement postponed Watson’s generic market entry beyond the Andro Gel patent’s life. How exactly FTC knew that Watson would win its suit is not clear, but it argued that such a conclusion could be “objectively” reached by a “more likely than not” assessment. Judge Carnes rejected FTC’s “retrospective, predict-the-likely-outcome-that-never-came approach” with a lecture on the “high-stakes, spin-the-chamber” nature of patent litigation, as well as a tutorial on which circuit court possesses both exclusive appellate jurisdiction over and expertise in patent suits (the Federal Circuit, of course). 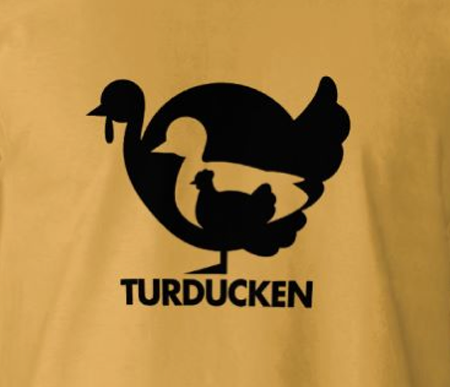 He closed his opinion with memorable rhetorical flourish, stating that FTC’s request of the court would require it to decide “a patent case within an antitrust case about the settlement of the patent case, a turducken task. Over the past decade, FTC has invested hundreds of thousands of tax dollars and staff hours pushing its flinty legal theory on “pay-for-delay” drug patent settlements. The Commission hasn’t moved the needle even a fraction. Isn’t it time for FTC to accept defeat and watch private plaintiffs, like those now suing in California state court and various federal courts, spend their own money to advance this quixotic cause? A side note: Congratulations to WLF Legal Policy Advisory Board member Eric Grannon, who successfully argued FTC v. Watson.